When it comes to your wedding day – YOU ONLY LIVE [IT] ONCE! No redos. No “can we start over” buttons. You’re worried about everything being perfect and stressed out to the max. BUT REALLY, life’s too short to worry about the little things. That’s where I come in! I’M ON POINT SO YOU DON’T HAVE TO BE. That’s right - I’ll keep flyaways out of your eye and make sure you don’t have spinach in your teeth. How ‘bout we ensure real magic happens on your wedding day (and that you’re FULLY there to enjoy it!) by hiring someone (me) who can capture the big, tear-jerking moments along with the tiniest of details. I know what you’re thinking – “OK YAS I’M SOLD!” right? So lets chat! I respond lightning fast (unless I’m stuffing my face with a burrito or taking a nap)..
Melissa Is The Best! 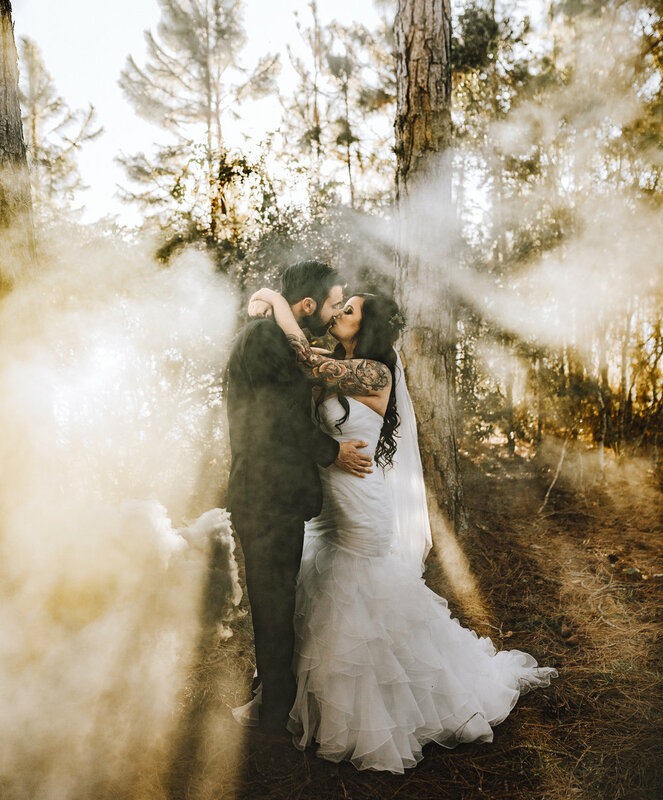 She Drove Two Hours Away To Shoot My Wedding In The Middle Of The Freezing Woods, She Even Came Out Ahead Of Time To Make Sure She Had The Right Location And Came Hours Early The Day Of! She’s Open To Any Ideas You Have In Mind. She’s Been Spoiling Me With Sneak Peeks And We Cannot Wait To See The Rest!